We all know that being on the roads and driving motor vehicles comes with certain rules that must be obeyed. However it’s easy to forget that our waterways are also monitored by rules and regulations. In NSW we are lucky to have access to some of the most beautiful waterways, and while you may remember to adhere to maritime laws and regulations, you could find yourself injured due to the negligence of someone else. If you become injured in a boating accident, you could be entitled to compensation for any injury and suffering caused. How do I know if I’m entitled to compensation for a boating injury? If you have been injured due to the negligence of the boat’s skipper or another boat’s operator or owner, you could be entitled to compensation. It is essential that you speak to a compensation lawyer as soon as possible after the boat accident so they can determine who was at fault and help to gather the right information for your case. What can compensation lawyers do for me if I was in a boating accident? As with motor vehicle injuries, after the accident, you should ensure you have gathered enough information to support your claim. Boating accidents should be reported to the authorities (police or maritime police), details should be written down at the time of the accident, photos should be taken (if possible) and you should gather names and details from any witnesses present. It can sometimes be difficult to determine who was at fault when a boating accident occurs. That is why it is essential that you speak to a compensation lawyers as soon as possible to determine if you have a case for claiming compensation for any injury or suffering caused by the accident. 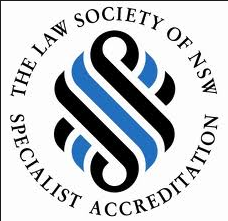 At NSW Compensation lawyers, our experts will help you to put your case together and fight for the maximum compensation you deserve.